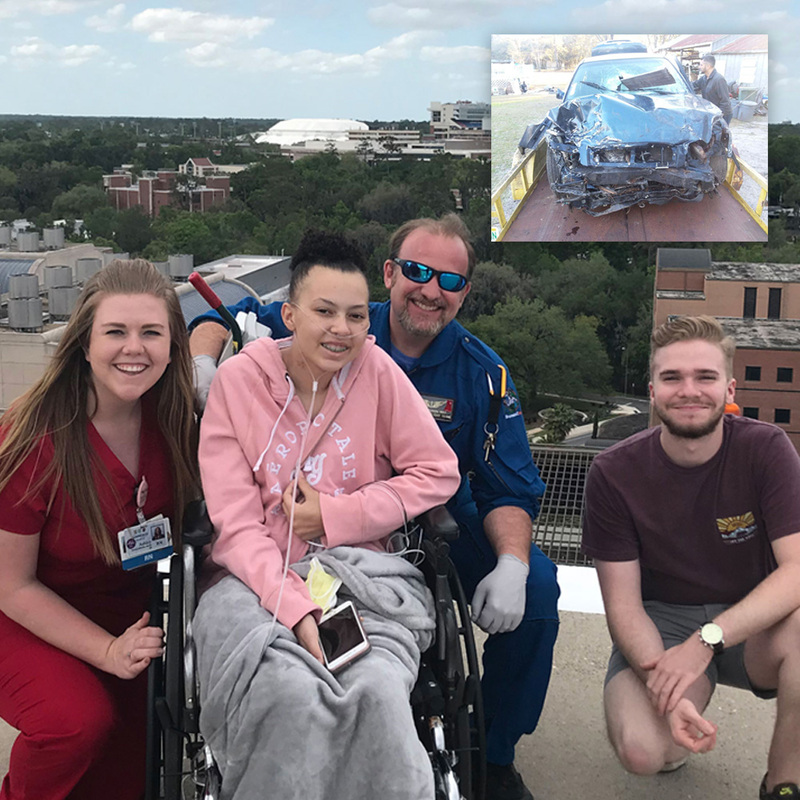 The Extracorporeal Life Support Organization, or ELSO, has given UF Health its Gold Level ELSO Award for Excellence in Life Support for its exceptional care in using extracorporeal membrane oxygenation, or ECMO, in both the pediatric and adult programs. ELSO is an international nonprofit consortium of health care institutions focused on developing and evaluating therapies for supporting failing organ systems. The University of Florida College of Medicine’s division of pulmonary, critical care & sleep medicine was recently named the third accredited LAM and Rare Lung Disease practice site in Florida by the LAM Foundation. The site, which is led by director Mark Brantly, M.D., a professor of medicine, and associate director Ali Ataya, M.D., an assistant professor of medicine, will focus on patients with orphan lung diseases. LAM, or lymphangioleiomyomatosis, is a rare lung disease that almost exclusively affects women of childbearing age and causes cysts to develop within the lungs. In many cases, LAM goes undiagnosed or misdiagnosed without the proper imaging tests. Get vaccinated to keep patients, visitors and each other safe during the upcoming flu season. Watch for free flu vaccination events on site for UF faculty, staff and students through the UF Student Health Care Center, and UF Health Shands employees, volunteers and medical providers through UF Health Shands Occupational Health. Visit Bridge.UFHealth.org/flu or SHCC.ufl.edu/flu for more information.